We have curated and host for free download a large collection of open source fonts in our Thai Font Collection. From this collection we have selected 20 fonts for use in a Thai Font Poster. 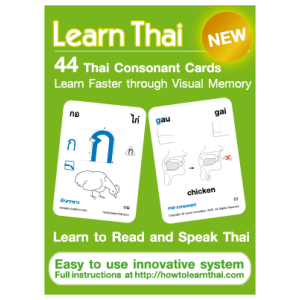 For those who have purchased these cards already and are looking for more instructions and videos, please click the product links above and scroll down the product description page for more information. Please visit our store to see all publications available, including discounted bundles. Survive Thailand is produced by Lanna Innovation Co., Ltd. 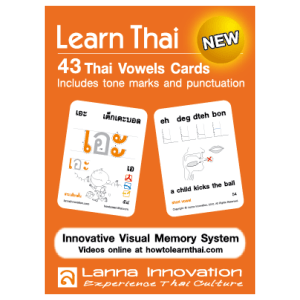 Founded in 2009, Lanna Innovation creates and distributes Thai language and culture publications.